This book is an evidence-based review of the practical challenges of dealing with patients receiving dialysis. 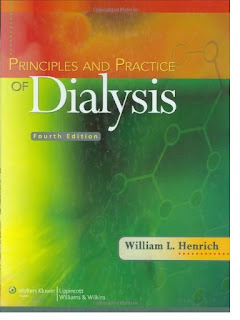 The first section covers technical and procedural considerations such as choosing the hemodialysis membrane and choosing the best dialysis option. The second section covers clinical considerations such as infection and the treatment of specific renal disease complications. The book includes numerous illustrations and tables and drug charts for dialysis patients. This edition's current outcomes chapter has been expanded to include patient depression and improving quality of care. New chapters cover dialysis in the ICU, valvular heart disease, and pre-emptive renal transplantation.